Nassau, The Bahamas – The contribution of churches to youth development in the Commonwealth of The Bahamas has been commendable, Minister of Social Services and Urban Development, the Hon. Frankie A. Campbell said. 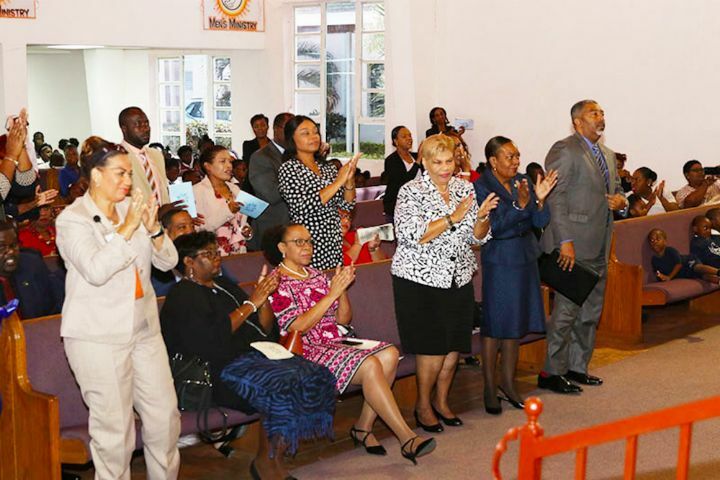 Addressing the annual Church Service held to commemorate National Child Protection Month in The Bahamas -- the service was held at Faith United Missionary Baptist Church – Minister Campbell said throughout the nation’s history, the church has stood as a beacon, propelling the country on the way forward. “The church has always led the way in promoting and strengthening family life. The church has guided believers and non-believers throughout the course of their lives from the ‘cradle to the grave’ -- with the church’s support in those early years of life playing a pivotal role in shaping individuals into the adults that they have become. “Christian education classes along with youth group meetings, children’s music ministries, and other youth activities have all been vital in building a strong, vibrant and productive society. All of these church-based initiatives targeting our youth serve to instill discipline and Christian values that children take along with them into adulthood,” Minister Campbell added. “It is therefore fitting that we have assembled here today to be reminded of these teachings as they pertain to the protection of children. It is our hope that during this National Child Protection Month, we would have significantly assisted our youth in discerning the difference between the ‘wrong way and God’s way’ in their interaction with adults and with their peers. 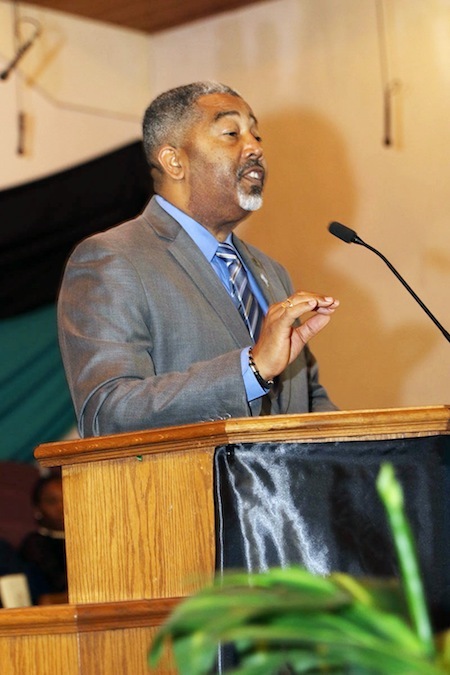 Minister Campbell said the Service offered a unique opportunity to speak directly to students on matters that affect their well-being at a time when violence, particularly violence directed at children, is becoming a more common occurrence. “The cycle of violence is far-reaching and it is important that we invest early in the lives of children,” Minister Campbell added.